Existing Innovation & Design BuildingJamestown, L.P.
Proposal to renovate the exterior of Innovation & Design BuildingJamestown, L.P.
Proposal to renovate the exterior of Innovation & Design Building, facing the Black Falcon Cruise TerminalJamestown, L.P. 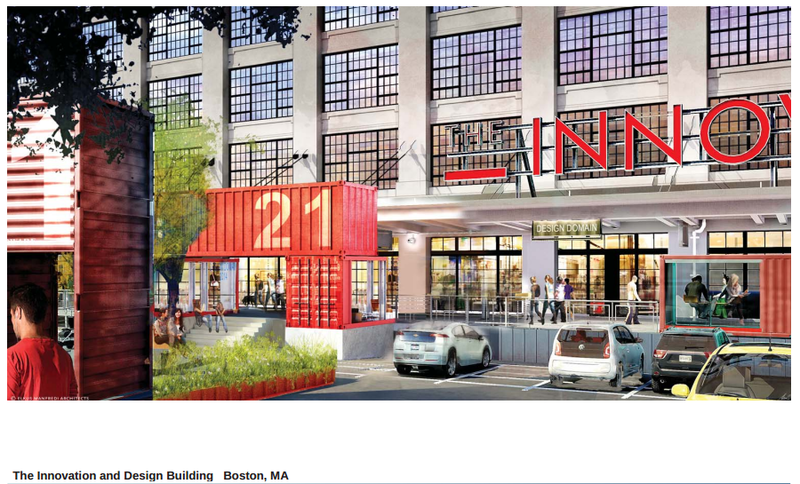 Location of Innovation & Design Building, in the Seaport DistrictJamestown, L.P.
Changes are coming to one of Boston’s signature buildings, improving it while bringing vitality to a quiet corner of an exciting new neighborhood. 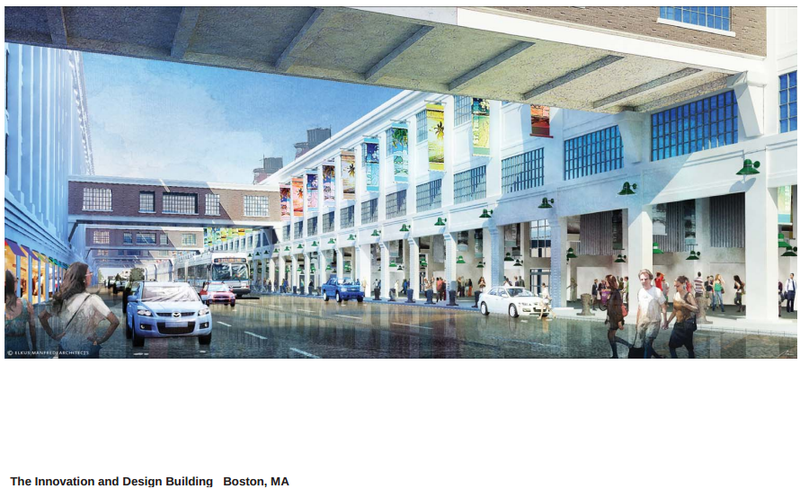 The Boston Redevelopment Authority gave its approval on Thursday night to plans by Jamestown, L.P. to repair and renovate a several properties it operates in the Seaport District, along the South Boston Waterfront. The land and buildings are owned by the BRA, which is why Jamestown was required to get their okay. The buildings were constructed in the early 1900s as storage space for the South Boston Army Base. 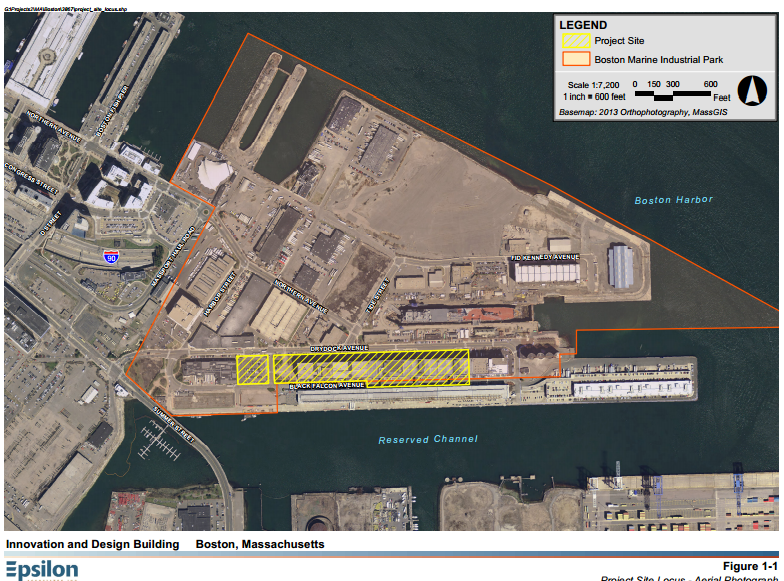 Through a series of transactions, the City of Boston took ownership through the BRA in the 1970s and 1980s, eventually rebranding the 200-acre area around there as the Boston Marine Industrial Park. These days, the Park is still used primarily for industrial, with ships heading into drydock, fishermen fishing, and beer makers brewing beer. Beginning about a decade ago, the Park welcomed a new use: cruise ships have started to dock in Boston during their off seasons between May and October. Jamestown is converting/reclassifying 206,388 square feet of interior space from its current industrial or vacant use to commercial use. Its plans are to use 25 percent of the complex for innovative and design purposes, part of the “new” economy, and re-branding the complex as the Innovation and Design Building. 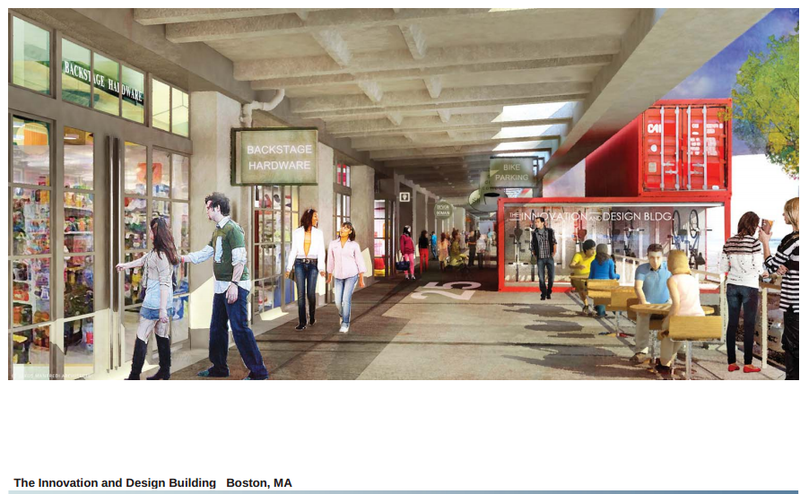 Additionally, the buildings will continue to house the Boston Design Center, an enormous building on its own, where design professionals from New England travel with their clients to visit showrooms featuring over 1,200 luxury product lines of fabric, furniture, lighting, antiques, fine art, wall and floor coverings, etc. The other 75 percent of space may be occupied by either general industrial or marine industrial uses. Such industrial uses may include light manufacturing, industrial office, research and development, warehousing, and trade-only design showrooms. 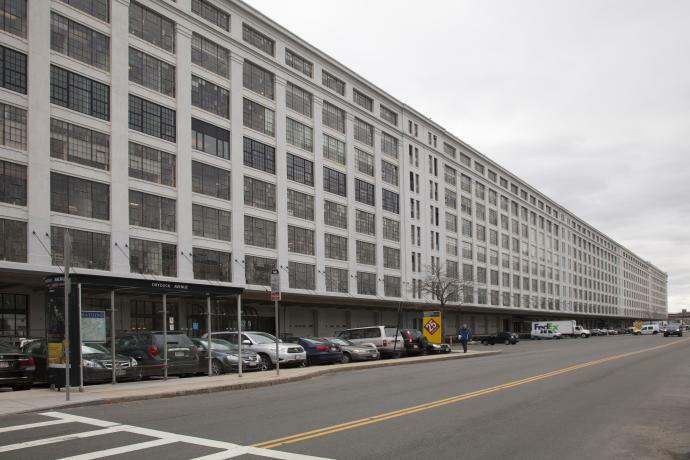 The ultimate goal of making improvements is to repair and renovate the interiors and upgrade systems, thereby enticing companies to relocate to the Seaport from other neighborhoods in Boston and Cambridge. 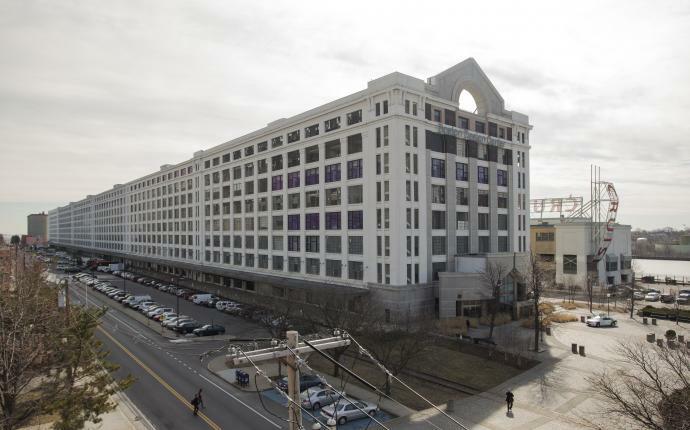 Jamestown has provided 125,000, square feet of office space to start-up incubator MassChallenge for free as a way to increase IDB’s exposure. The advantages of this are obvious. Those who work in the buildings will find it more pleasing to be there if they feel comfortable and if it’s easy to get around. Clients visiting will get to enjoy these amenities, too. Even better, the retail and restaurants are expected to be open during the times cruise ships are visiting, which will be a great improvement from the current situation where ships dock and passengers have nowhere to go nearby.